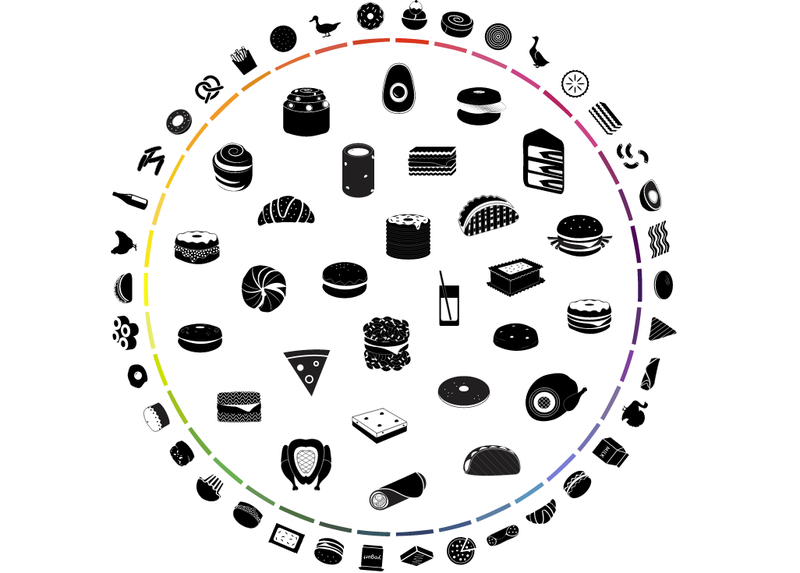 Hey, run over to Co.Design to play around with The Great Wheel of Food Mashups, the gorgeous and compulsively futzable interactive infographic screencapped above. The interior of the circle contains the viral foodstuffs made from wacky combinations of the familar, beloved foods around the outside of the ring. Cronuts! Ramen burgers! Yogurt ... uh ... liqueur! No, really, it's a thing that exists! Hover your mouse over a food in the middle, and you'll see its outer-ring parents; hover over a food on the outer ring, and you'll see all its descendants in their strange hybrid glory. Seriously I can't stop playing with this food wheel.